AFP Nova Scotia is delighted to offer this service to assist with the career development of members in the philanthropic community. 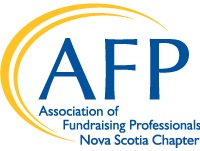 Employers seeking specialized fundraising professionals may post through the AFP Nova Scotia website for a fee of $250.00. Should your organization currently employ AFP Nova Scotia members, this fee will be discounted by 40% to $150.00. This fee includes posting on the website for the duration of your search, or thirty (30) days if no deadline is given, a direct message to our membership base and registered subscribers, as well as a message to more than 1000 of our friends and followers through various social media channels. Should you need to increase your applicant pool, we can extend the duration of your posting free of charge provided notification is given before the posting deadline; otherwise, your the posting will be considered to be new and normal rates apply.